Old-school pale mild for your summer refreshment, hopped with Willamette and Bobek. 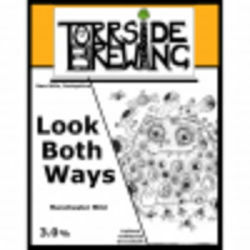 UPDATED: FEB 28, 2019 Cask @ Trackside, Bury. Pours copper with a small White head. Grains and bread. Smooth and dry. Cornish. A bit vague. Cask at the GBBF 2018 day 2 08/08/2018. A clear mid golden coloured pour with a a halo of loose white head. Aroma is semi sweet, honey cereal grains, light lemon, grains,. Flavour is composed of watery grains, lemon rind, straw, water.. Palate is watery, low grains, thin. Meh. Cask at GBBF '18, day 2, 08/08/18. Hazed golden amber with a decent off white cap. Nose is dusty fruits, stale bread, grains, light spice. Taste comprises fruit loaf, crackers, straw, stewed fruits. Medium bodied, soft carbonation, drying close. OK.
GBBF Day 1. Cask. Hazy orange beer, small pale cream colour head. Palate is light and semi dry, very mild carbonation. Light dry malts, whisper of grain. Dry floral orange. A little insipid. Half-pint, cask ale, enjoyed outside at Fox and Goose. Thanks to ManVsBeer for the share. Covering white head to a misty golden body (a pale mild! ), spotty lacing. Moderate floral hops on the nose. Hints of ripe orange flavours. Smooth, semi-dry fruity ending. Accepted. (Hebden Bridge 04.07.2018). Cask @ Fox & Goose, Hebden Bridge. Golden with a head. Hoppy and mild in texture with a hint of fruit.